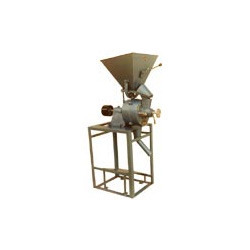 Leading Manufacturer of coffee pulper - depulpeur de cafe, coffee huller - moteur diesel de type lister, coffee grinding mill, brand coffee roaster (hand operated) and roaster bruloir from Chennai. `nans’– 101 hand operated 150-300 kgs/hr. `nans’– 101 3 hp 1 hp 600 kgs/hr. 'NANS 20115 HP500 750 KGS/HR. 'NANS 30110 HP250 400 KGS./HR. 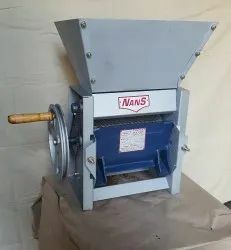 `NANS’ Brand 8” Grinding Mill for all small users. 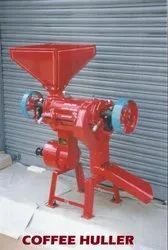 This type of grinding mills are specially introduced to meet the demands for cheaper power grinders. They are of robust construction, simple in design, best workmanship and fine finish. The mechanism is simple to operate. 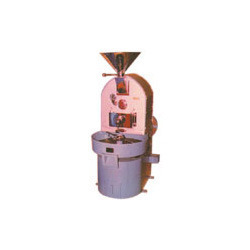 This Roaster is designed to meet the ordinary business man, these roasters are the simplest to operate and handle. The material used in their construction and the easiness of operation are an asset for business people. THE FUEL USED IN CHARCOAL. Suitable for Roasting Cocoa beans, Coffee beans, Cashew nuts, Tobacco, Peanut etc. Looking for Brand Coffee Machineries - Les Machines De Cafe ?